Have You Outsourced Your Document Shredding Yet? Shredding documents is a document management process that the majority of companies have implemented as part of their regular business practices. With legislation in place such as HIPAA and FACTA dictating how documents need to be stored and disposed of, proper disposal of confidential information is simply imperative. To keep your company compliant and employees and customers’ safe from information theft, you need to ensure the shredding being done is executed properly and securely, with zero chance of error. The consequences associated with improper disposal such as throwing records in the trash, can range from exposing sensitive information to competitors, or worse to an individual who will use such information to complete a fraudulent act such as information theft. Who’s Handling Your Document Shredding Needs? The task of shredding paper is not only a monotonous one; it’s time consuming on top of it. Plus there is the task of removing staples because most portable shredders have a difficult time processing them. Hours spent shredding, means hours of lost employee productivity that could be directed to critical business tasks. Portable shredding devices make a lot of noise which of course causes distractions in your workplace. Focusing on your core business duties can be challenging when you hear the machine operating for hours. What happens when you are distracted? You don’t work as well or as dedicated. Don’t put your staff in a position where they won’t be productive, as this is totally avoidable. • There is no guarantee that documents will be 100% destroyed by the employee in charge. 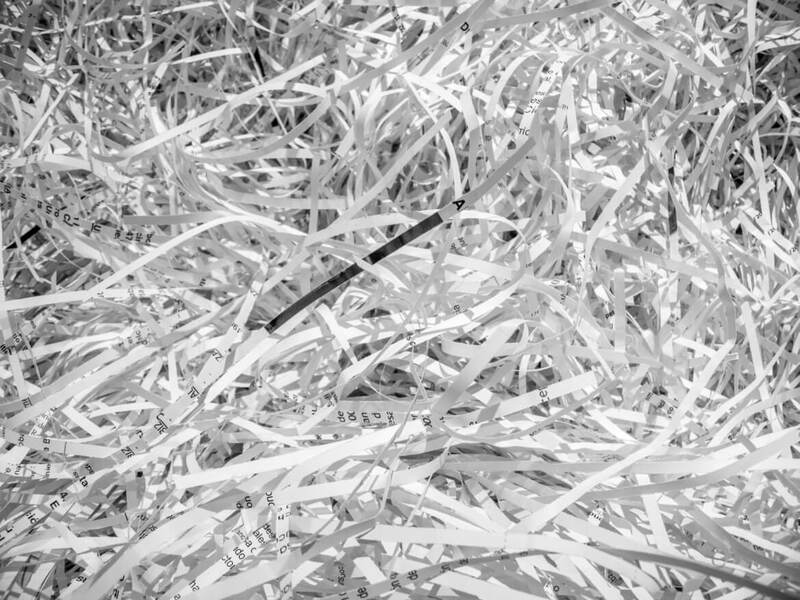 It’s easy to let things slip through the cracks, and this includes mistakenly tossing away or recycling confidential records, that should in fact be thoroughly shred. Additional time for your staff; you will no longer need to organize old documents into filing boxes, or monotonously feed paper through a machine. Shred binsare supplied for quick paper disposal, where all content remains safe until it reaches capacity and requires emptying. At this point a shredding specialist will look after everything for you. Peace of mind. Security risks are reduced considerably, as the process is handled by highly trained professionals only. Furthermore, following shredding, a document destruction company will provide proof of shredding with a Certificate of Destruction. When you factor in the time and costs that are associated with shredding in-house, it’s to your financial advantage to outsource your shredding requirements. Abraham’s On-Site Shredding Service offers on-site document shredding services, carried out on your property for simplicity and convenience. Enjoy the ease of document destruction you can watch take place in the moment for additional peace of mind.